A native of Louisiana, Kelly Monaghan, DVM, DACVIM (SAIM), received her veterinary degree from Louisiana State University in 2007. She went on to complete a rotating internship and small animal internal medicine residency at Tufts University. After completion of her residency, she became a faculty member at the University of Wisconsin. During her time at UW, she started the first dialysis program in the state and trained other faculty members and residents on the use of this therapy for pets with kidney disease. 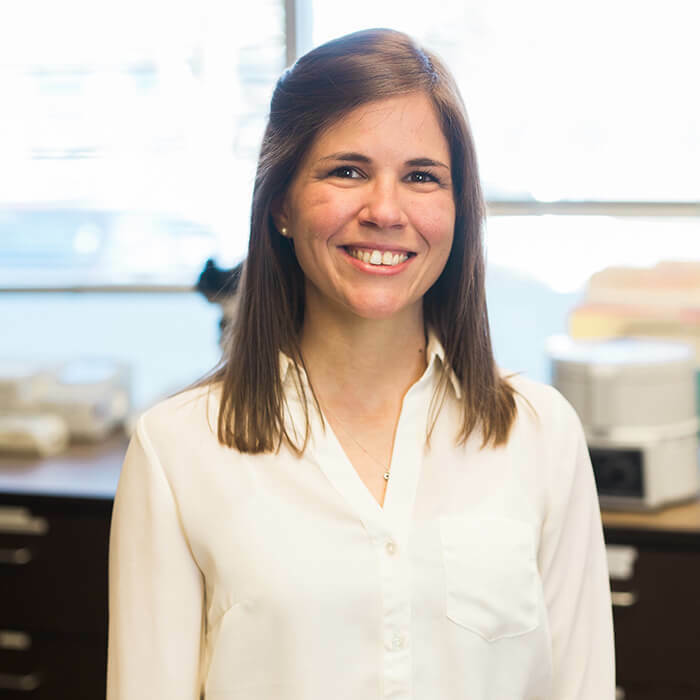 While Dr. Monaghan enjoys all aspects of internal medicine, her clinical interests include kidney and urinary diseases and those with immune-mediated disease. Outside of work, she enjoys cooking, various outdoor activities, such as hiking and biking, and spending time with her husband, Dr. Ben Nolan, and their furry family consisting of 3 dogs and 2 cats.